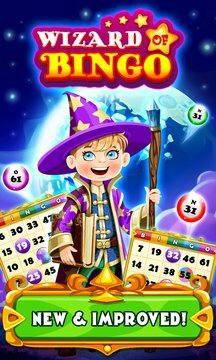 It is time to learn some magic spells and we are bringing the most powerful magic bingo contest to right on the palm of your hand! Join other players in the unique bingo contest that takes place in the secret wizards academy once in the year. Unique set of features, with lots of interesting levels and enjoyment. You can chat with different users, play against them and simply enjoy this great game stress free. 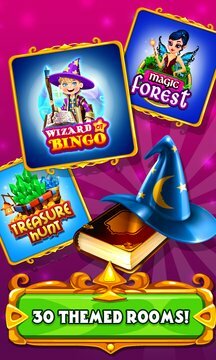 Mystic and dark, we also added great sound effects that will keep you excited about Bingo and bingo games. We believe that if you like magic fantasy stories the Wizard of Bingo is just what you need! Put on your masks and grab your magic staff because it is the time to join your friends on the greatest bingo contest of the year.